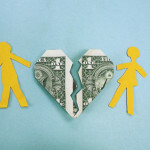 The division of the debts of a failed marriage, however carefully crafted at divorce, can be utterly destroyed if one of the former spouses files a Chapter 13 bankruptcy. A Chapter 13 discharge is double barreled. It will eliminate the debts that the filing spouse owes to creditors. It also wipes out any obligation to the debtor’s former spouse to shield the ex from those debts. 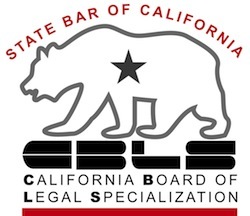 All parties, the divorcing spouses and their family law attorneys, need to consider the impact on the division of assets and liabilities if either spouse drops the bankruptcy bombshell. Where both spouses are liable on a debt, the divorce agreement often does two things. It assigns the debt to one spouse for payment. Two, it imposes on that spouse an obligation to indemnify the other spouse. The spouse who’s to pay the debt promises to pay the former spouse if the creditor has to collect the debt from the other party. So, the divorce decree creates two duties for the spouse to whom the debt is assigned: pay the creditor, and if you don’t, protect your ex from that creditor. Different chapters of bankruptcy treat the obligation to a former spouse for indemnification differently. In Chapter 7, that obligation is not dischargeable. In Chapter 13, it can be discharged. But why, you ask, doesn’t the divorce judgment bind the creditor, too? A divorce deals with the rights and obligations of the spouses and the welfare of any children of the marriage. Creditors who have rights against the spouses are not parties to the divorce. Therefore, their rights to collect their debts aren’t affected. Creditors can be joined to a divorce proceeding but it’s usually not done. So, American Express (my favorite creditor villain) is free to collect its debt from either spouse if both were liable before the divorce. Either spouse is free to file a bankruptcy case and discharge their liability to American Express. If the case is a Chapter 7, American Express can’t sue the spouse who got a discharge, but can sue the non bankrupt spouse to collect. And after a Chapter 7 discharge, the spouse who files bankruptcy is still obligated to indemnify the ex, should AmEx attempt to enforce the debt. In Chapter 13, both the debt and the obligation to protect the former spouse are discharged. It’s one of the most significant ways that the Chapter 13 discharge is broader than the discharge in Chapter 7. Also dischargeable is any provision of the divorce that requires one spouse to pay the other to equalize the division of property or to repay other debts between the parties. Support obligations are not dischargeable in any form of bankruptcy. Family support, child support, alimony all survive a bankruptcy discharge. The costs of living separately will leave less money for the divorcing spouses to pay on the debts of the marriage. The possibility that one spouse will seek relief in bankruptcy is very real. It’s critical to look at debts and understand which spouse is contractually obligated to each creditor. Absent joinder of the creditor, that liability will outlive the marriage, unaffected by the divorce decree. Where both spouses are liable for a debt, you have a ticking time bomb, should one spouse not pay. One possible tack is for the couple to file a joint bankruptcy while they are still married. That reduces their exposure to third party creditors. It may make the divorce simpler by eliminating debt that has to be divided. A divorce judgment can’t prohibit the spouses from filing bankruptcy. Each spouse has to look at the marital settlement agreement and consider how they cope if their opposite number files bankruptcy.